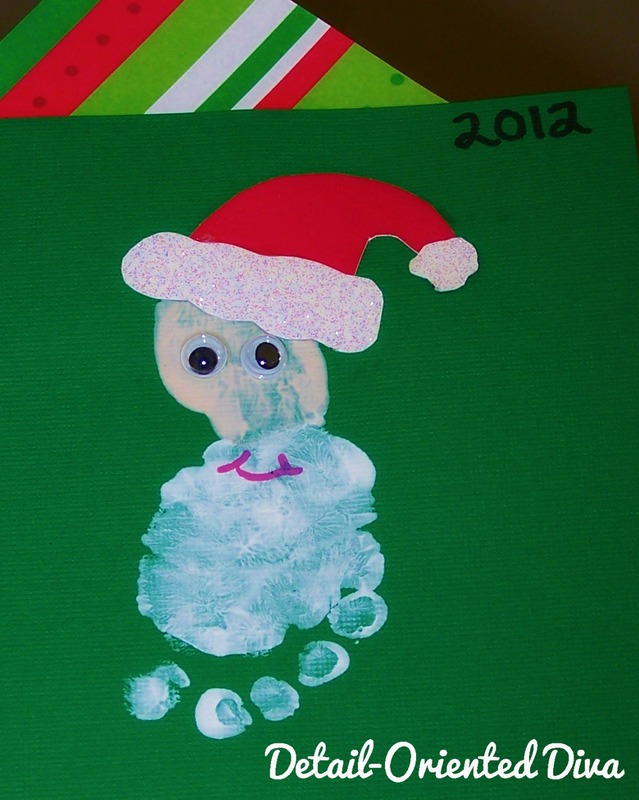 I am in love with this cute little Santa craft my friend Tracie has been working on with her little ones. What a super-cute little footprint! Just paint your kiddo's foot with a flesh-colored paint on the heel and white paint on the ball and toes. Dress it up with a little Santa hat, mouth, and googly eyes for the the most adorable Santa you've ever seen! That is SO dang adorable!! Can't wait to do this with our kiddos! I agree! It's too cute!